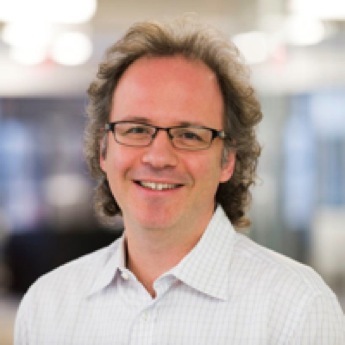 Michael Geist is the Canada Research Chair in Internet and E-commerce Law at the University of Ottawa. Much of his research focuses on intellectual property rights, telecommunications issues, and privacy in the digital sphere. His work has been published in the Toronto Star and the Ottawa Citizen, and he also posts opinions and articles regularly on his blog. It has been three months since we last spoke to Geist. In that time, a lot has changed in the realm of digital rights, so we decided to check in with him for some updates. Read the interview, which covers such topics as the Trans-Pacific Partnership (TPP), a highly secretive trade deal that is currently being negotiated, and recent revelations of government surveillance, below. How do you feel about the Trans-Pacific Partnership (TPP) and the threat it poses to digital rights? I’m deeply concerned about the TPP. I appeared before the House of Commons Standing Committee on International Trade in June to discuss the TPP and focused on two issues. First, the lack of transparency associated with the agreement, including the secretive nature of the negotiations and the lack of public input into the text. Second, the substantive concerns with the treaty, including the danger that the treaty would require Canada to reform intellectual property laws it just finished changing. Those reforms could include extending the term of copyright, thereby diminishing the public domain, and increasing liability for Internet intermediaries. What is the most important piece of information about the TPP that Canadians should know, but probably don’t? That the TPP threatens to undo the “copyright balance” that the Canadian government just spent years claiming it achieved with the recent round of reforms. Instead, we would face new reforms already being demanded by the United States. You told us that you believe the most pressing free expression issue in Canada is the role of intermediaries in our digital communications. Given the recent revelations about American government surveillance programs such as PRISM, what do you think should be Canadians’ number one concern, and our number one course of action? This is an enormous issue and the recent revelations about a massive surveillance infrastructure worldwide should give everyone pause. I think the starting point is to demand greater disclosure about what is happening in Canada. What surveillance is the Canadian government engaged in? What role for Canadian telecom companies? How does the US surveillance affect us? It is hard to know what reforms or oversight is needed until we better know what is actually happening. The last time we talked to you, you said that it is critical for Canadians to educate themselves on digital rights. Can you recommend any great books or articles that help clearly explain these issues? There are lots of great sources on these issues. In the mainstream media, people like Colin Freeze at The Globe and Mail is leading the way on surveillance, while Peter Nowak writes about telecom issues. Ron Deibert of the Citizen Lab is also essential reading to understand surveillance issues. On digital rights, I continue to be active as does Open Media. The original article can be downloaded here or read in its entirety below. Michael Geist spoke to Alexandra Zakreski, Campaigning and Communications Intern at Canadian Journalists for Free Expression.